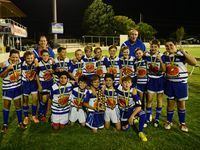 THE stress of impressing a school-yard crush was forgotten, along with the worry of getting a good Naplan score arrive in the mail, for at least an hour when the players from the Norville Bulldogs and East Water Rats at the grand final of the 2015 Development Cup. 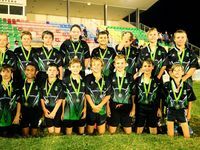 After getting away to a great start the Norville boys earned some playground cred when they claimed the school's third-straight Development Cup (Bundaberg district final) with a hard-fought 16-4 win over East State School in front of a packed Salter Oval grandstand. The smiles on the faces of the Norville players, and the frowns on those from East, showed this was not just another game of rugby league and the result mattered. Norville's forwards laid the platform for the halves and backs and under constant pressure the Water Rats' defensive line cracked. But East State School wasn't disgraced. 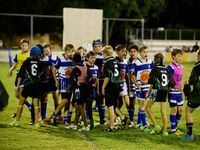 Leading the way in the middle of the park was one of the smallest players on the field, Ethan Jones, who showed more tenacity and determination than most kids his age do. Under coaches Greg Kruger and Marcus Lister the Bulldogs have grown a culture of disciplined football and when the smaller, and quick, Water Rats ran at them the desire to work for each other came forward. Logan Mglinn was judged as the Water Rats best player for the game while Russell Taylor from Norville took and extra trophy home. Norville will travel to play the winner from North Burnett in the coming weeks. 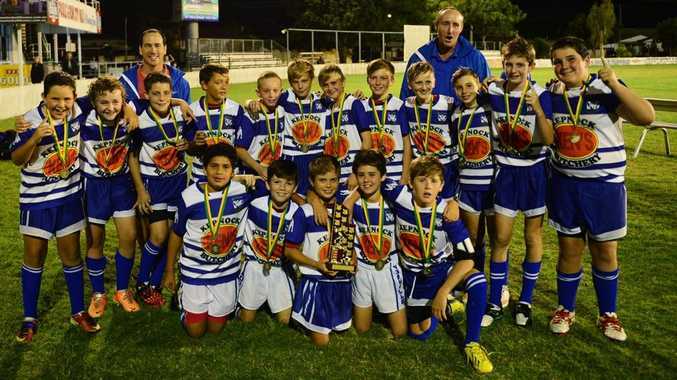 And after the five weeks of competition that included 17 games, the winner from the North Burnett grand final will have to be at its best to stop the mighty Norville Bulldogs advancing to the next level.